Nokia N900 UK release pushed back to November? The Nokia N900, which many of use were hoping to be released in October, seems to have been pushed back to November. The news came from Peter Schneider, head of Maemo marketing for Nokia, when pointing out that the phone had been well received by members of the developer community. The impending end of October, the previously assumed (though never confirmed) launch date for the N900, caused some to question whether the new device would be released in time. 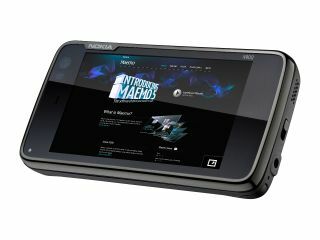 However, despite being available for pre-order for weeks, Schneider confirmed in a message to talk.maemo.org: "We expect it [the Nokia N900] to start shipping during November 2009". The reason for the fervour over the anticipated launch is the new phone / UMPC (depending on your point of view) is that it runs on Nokia's new open source Maemo 5 OS, which is tipped to finally help the Finns rival the likes of Android mobiles and the iPhone. It's also gained some pretty favourable reviews, and we were impressed by it when we got some face time with it on our in-depth hands on. Still, at least November's not too far away - we should still get our hands on the high-powered mobile before Christmas.